The only source of knowledge is experience. Any course is deficient without hands on industrial knowledge. To remain on the ball and be comfortable with most recent innovation while applying for jobs, one needs to visit the related ventures. So what are you waiting for? 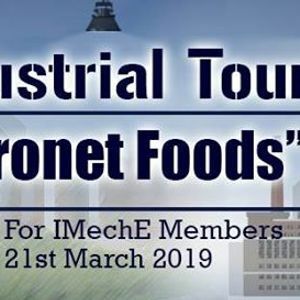 Come and join us in our industrial drive as IMechE UET Taxila is going to arrange an Industrial Tour to Coronet Foods LTD for its members. Register yourselves as we have limited seats.